If you can identify the people in this photograph, please e-mail dc@cedarville.edu. 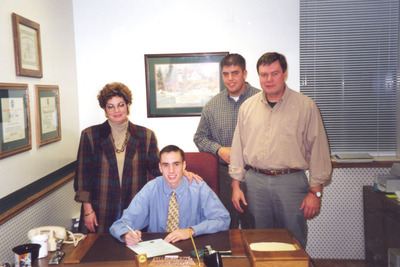 Cedarville College, "Signing" (1998). Men's Cross Country Image Gallery. 34.